Has Pedigree Ever Been Recalled? Yes, Pedigree has been recalled many times throughout its history. The most recent set of recalls occurred in August of 2014 due to the presence of small metal fragments in dry dog food. Prior to the August 2014 recall, Pedigree was recalled for another foreign material incident dating back to June 30, 2012. In addition, Pedigree has been recalled twice due to potential salmonella contamination. The Pedigree dog food brand is owned by Mars, Incorporated. Mars is one of the largest produces of pet food products. Here are some other brands owned by Mars Petcare: Nutro, Royal Canin, Greenies, Iams, Eukanauba, and others. Pedigree has expanded the recall that was issued on August 26, 2014. The recall was expanded to include the 55-pound bags of Pedigree Adult Complete Nutrition dry dog food products sold in Sam's Club. The affected bags may contain small metal fragments. This foreign material may present a risk of injury if consumed. 55-pound bags of Pedigree Adult Complete Nutrition dry dog food sold at Sam's Club will have the lot code 432E1KKM03 printed on the back of the bag near the UPC and a Best Before date of 8/7/15. Pedigree issued a recall for select bags of Pedigree Adult Complete Nutrition dry dog foods due to the possible presence of a foreign material. The affected products were sold between August 18 and August 25 inside 12 Dollar General stores located in Mississippi, Arkansas, Tennessee and Louisiana. Only 15-pound bags of Pedigree Adult Complete Nutrition dry dog foods are affected by the recall. The UPC number for the affected product is 23100 10944, the lot code is 432C1KKM03, and the best by date is 8/5/15. Mars Petcare announced a voluntary recall for three varieties of Pedigree Weight Management Canned Dog Foods because of a potential choking hazard. The affected foods may contain small pieces of blue plastic. Pedigree announced a recall for products manufactured at the Everson, Pennsylvania manufacturing facility. The reason for this recall was a potential salmonella contamination. Here is a list of Pedigree products that were included in the recall. Mars Petcare U.S. announced a voluntary recall for limited bags of Pedigree Complete Nutrition Small Crunchy Bites. The affected products were sold in Albertsons stores located in Southern Californian and Las Vegas, Nevada. These Pedigree treats may be contaminated with Salmonella. There have been no complaints or report of injury resulting from the consumption or handling of the recalled Pedigree product. Here is an except from the original press release discussing the dangers of salmonella. Pedigree is made in factories owned by Mars Petcare. 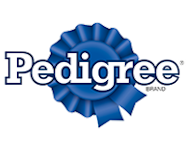 The specific locations used for Pedigree are not publicly disclosed, but we know that some Pedigree product packages display the following phrases: Made In The USA or Made In The USA & Canada. According to the FTC, to claim that a product is made in the USA, all or virtually all parts and processes must originate in the United States. 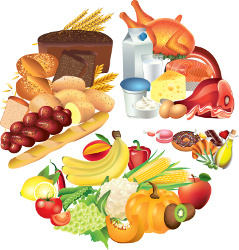 This implies that the manufacturing must occur in the United States and ingredients must be sourced domestically. We've noticed that many Pedigree treats and wet food products do not contain this labeling. Therefore, you'd have to check the label of the individual product to determine if it's made in the United States. Is Pedigree Pet Food Safe? In 2014 and 2012, Pedigree issued recalls for foreign material found inside Pedigree foods. Twice in 2008, Pedigree issued recalls for a possible salmonella contamination. Overall, these are relatively minor issues. Salmonella in general is more of a threat to humans than it is to pets. We must recognize that manufacturing errors and minor mistakes can occur for any brand. Therefore, we cannot simply assume that any brand with multiple recalls has some type of quality/safety issue. Based solely on the recall history of Pedigree, we do not have any reason to question the safety of their products. However, we also realize that the company offers virtually no transparency regarding the origin of its ingredients or the factories used to produce Pedigree foods. Given the history of many brands owned by Mars Percare, we're concerned about these specific details. In 2007, several brands owned by Mars were involved in the melamine contamination crisis. These brands were sourcing ingredients from Chinese vegetable protein suppliers. We have no guarantees provided by Pedigree that would assure us that ingredients are sourced from high-quality sources. We must highlight that Pedigree uses artificial colors, artificial preservatives, anonymous meat ingredients, by-products, etc. Given that Pedigree uses these low-quality ingredients, it's certainly not a stretch to assume they would use the cheapest suppliers available.